If you are like many of us in the p2p lending world, you have told friends and family how awesome it is and how safe an investment these loans are. Most of our friends and family don't care or don't realize or don't want to realize these benefits and that's ok, but some people actually listen to us when we talk about the benefits of peer to peer lending. Some of us are involved in affiliate programs to bring referrals to the lending platforms, although I am not one of them. Some of these friends listen to us and then apply for a loan. 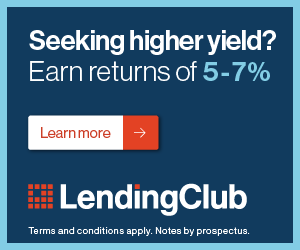 Do you want to know if your friend's loan got funded on Prosper? What about other loans you are tracking? There's an easy way to find out without asking him or her. One of our legal corner posts discusses how Prosper issues Borrower Dependent Payment Notes or BDPN and then update it on their prospectus. There's a way you can check this out for yourself also in the Prospectus. Go to the Prospectus link on Prosper. You can look there. What you will see is a daily addition of all the new loans that fund added as BDPN to the existing, now amended Prospectus. This is what it looks like. This screenshot shows one loan, #1501165, added to the BDPN and the list continues at the link above to show them all. You can also see the screen name of the borrower, which I purposely excluded from my screen shot. Do you want to find out if your buddy's loan funded? Do you want to find out if any loans you were tracking and either chose to invest or chose NOT to invest got funded? This is the way. Go to the Prospectus link and look at the updated Prospectus. I only recently learned that this is updated daily.